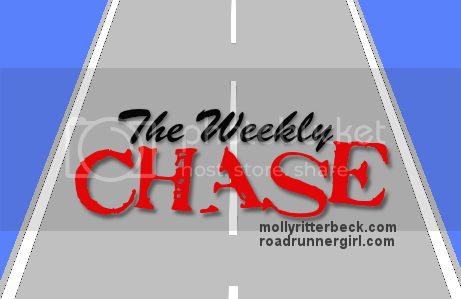 Road Runner Girl: The Weekly Chase #2! Here we go....the Weekly Chase time!!! I am so excited about the new Weekly Chase! I LOVED reading all your posts and goals last week! If you haven't already please join us!!! January Challenge- Make Yourself a Priority! Here is my recap of last week's goals! Goal #1: Call and make my doctor's appointment (challenge goal). Check! I did this and got my appointment scheduled! Yay! Goal #2: Read a book at least 15 minutes each day (challenge goal). I read some this past week but didn't make my goal of at least 15 minutes each day. Gonna try this one again this week. Goal #3: Run at least 3 times this week. Yep yep!!! Total success!!!! As I wrote in my Fitness Friday post, I was able to get in my 3 runs and it felt GREAT!!! So here goes this week!!! 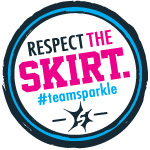 Goal #2: Get my costume finished for the Disney Marathon on Sunday (challenge goal)!!! I have the costume planned out but need to get it all finished. My awesome mother-in-law is helping me with this...because I can't sew! Goal #4: Taper time. I plan on getting in at least 1 maybe 2 runs this week. I'm not going to push it because I need fresh and strong legs for the race. It's hard to pull back on runs when I just started getting back into my routine. Goal #5: Pack for the marathon by Thursday. I hate packing! But I also don't want to wait until the last minute and therefore end up forgetting something important like my running shoes! I am going to be selfish for a minute and ask for prayers. Hayden started getting sick on Sunday and I took him to the doctor yesterday and he has strep throat (again). He's on antibiotics but my worry is that I will get it before the marathon. Please, please pray that I stay healthy so I can run strong on Sunday! Thanks so much!!! QOTD: What are some things you do the week before a big race to help keep yourself healthy?